Ambuja Yoga hosts yoga workshops in Santa Barbara, California and in Bend, Oregon and occasionally in other cities. 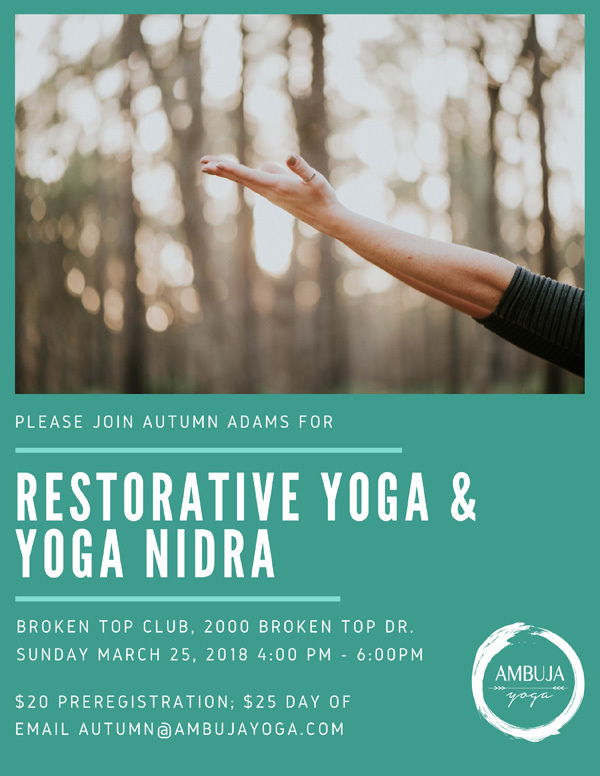 Ambuja Yoga offers the following yoga workshops: Asana Clinics, Bandha, Breath & Mudra, Restorative Yoga for a Healthy Immune System, Roll & Release, Restorative Yoga and Yoga Nidra, Applied Yoga Anatomy and Assists and Adjustments for Yoga Teachers. 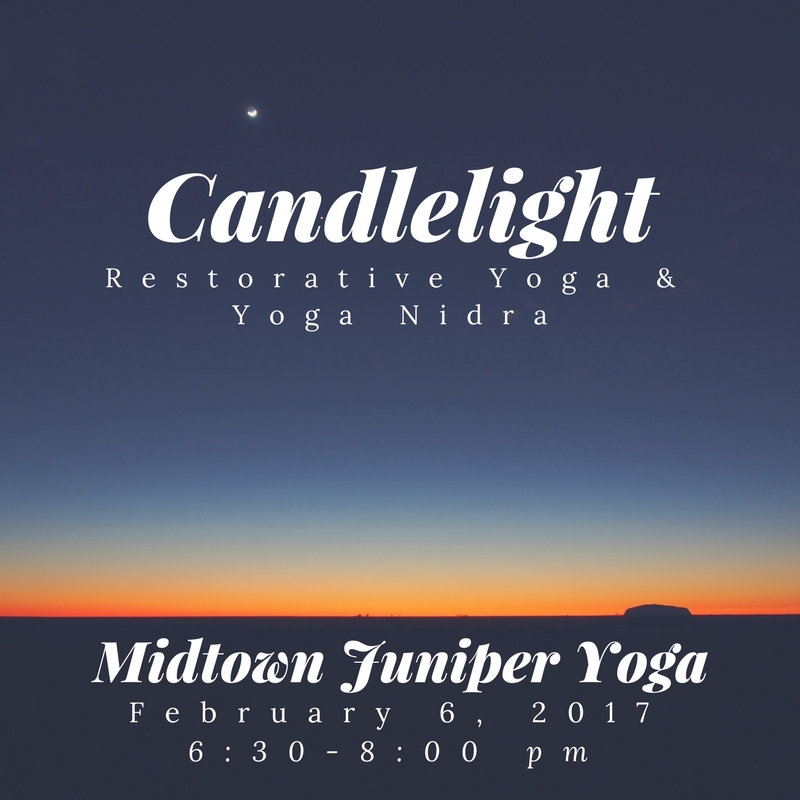 Ambuja Yoga also participates in yoga events within the community. 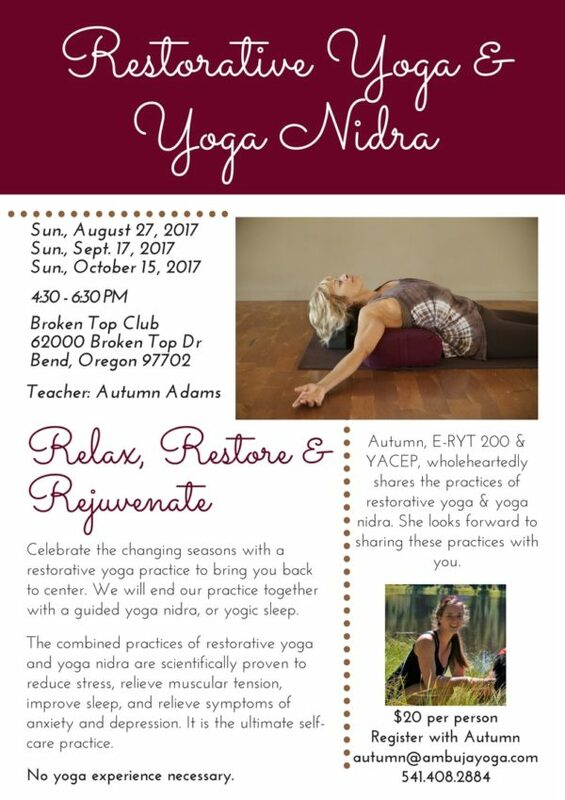 Check back to see upcoming yoga events in Bend, Oregon. Have you ever wondered why some poses are more accessible and others more challenging or seemingly impossible? On April 6th we’ll dive deep into anatomy concepts and application for yoga teachers and students! Join Autumn Adams for an easy to understand, experiential course on human anatomy. You’ll learn the ins and outs of anatomy & physiology as it relates to the practice of yoga through discussion, lecture, hands-on assessment, and movement labs. This 5-hour workshop will help you find clarity and confidence in both your teaching and practice. Cost: $98 in Advance or $125 Day Of. 15% off for Divinitree Santa Barbara members! Discount applied automatically at checkout. Reserve your spot at Divinitree Yoga Santa Barbara. Do you have questions? Please contact Autumn via the Ambuja Yoga contact form. Here is your opportunity to deepen your understanding of the power of touch in your yoga classes. You will gain confidence in the art of giving hands-on assists and adjustments. You’ll refine your pressure, hand and body placement, and body mechanics that will make you and your yoga students feel safe and supported. What’s Included: Three Yoga Alliance approved continuing education credits. Cost: $68 in Advance. 15% off for Divinitree Santa Barbara members! Discount applied automatically at checkout. Reserve your spot at Divinitree Yoga Santa Barbara. What to Wear: your comfy clothes! Join Autumn Adams and Lauren Barth at Nourish Yoga for a special 2 hour workshop on yoga for back care. Two times to sign up for this work shop! Thursday at 6:30-8:30 p.m. or Friday 9-11 a.m. If you’re a working adult, you have likely experienced back pain at one time or another. According to the American Chiropractic Association, “One-half of all working Americans admit to having back pain symptoms each year. Experts estimate that as much as 80% of the population will experience a back problem at some time in their lives.” That’s a lot of people with achy backs! If your back is chronically achy, sore, tight, susceptible to injury and reinjury then this workshop is for you. We will talk body mechanics, basic anatomy, posture, lifestyle changes and how simple yoga poses can bring you freedom from back pain. 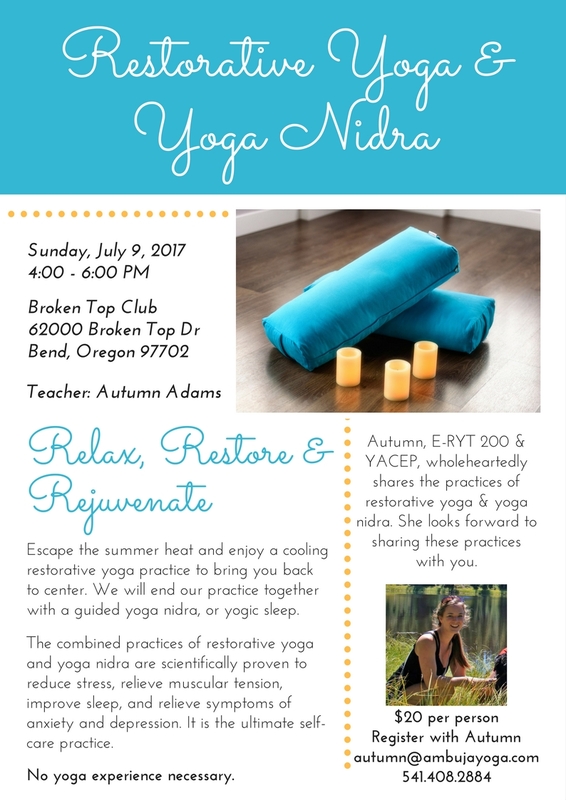 A yoga workshop in Bend, Oregon for yoga instructors. What to wear: Your yoga clothes. What to bring: A journal, pen, yoga mat, snack, and water. Cost: $65 day of event; $55 pre-registration. This workshop is designed for yoga instructors seeking more information. If you’re wondering if this workshop is appropriate for you please reach out Autumn at autumn@ambujayoga.com. Yoga instructors, feel empowered and knowledgable when pregnant women attend your regular group yoga classes. Overcome any fear of mama (or baby) becoming injured in your class and learn about the anatomy of pregnant women and effective cueing, sequencing and modifications to keep her safe and the rest of your class engaged. Whether you are just out of yoga teacher training or have been teaching for twenty years you will gain confidence in your ability to safely address the needs of your pregnant students. Learn important anatomical features of the female body and anatomical & hormonal changes that occur during pregnancy. Learn and practice effective language, cueing, sequencing and modifications of asana and pranayama techniques. Learn about contraindications and potential risks. Learn about postnatal recovery and how to support your female students after birth. Feel confident and at ease with pregnant women in your group classes. What to bring: A journal, pen, yoga mat, water and potentially a towel. 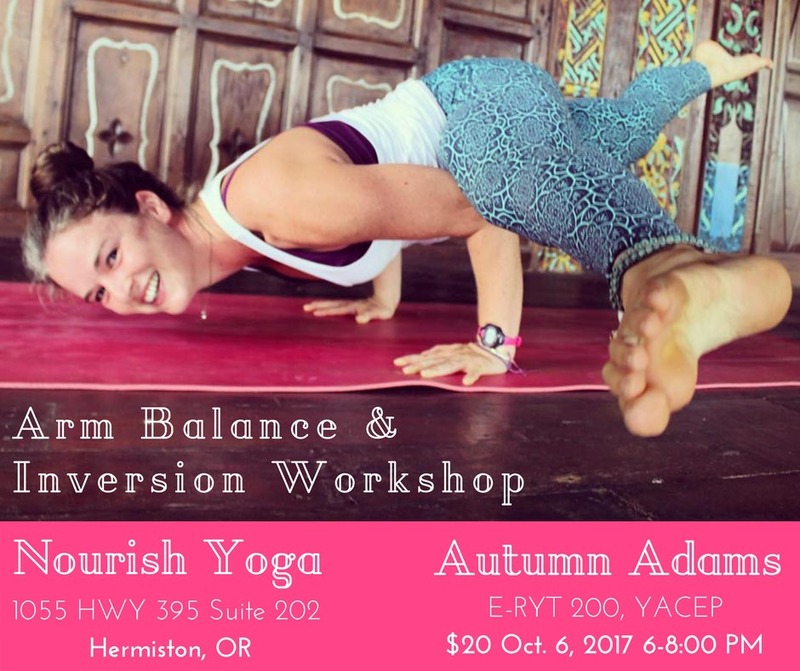 Come play, flip upside down, and balance on your hands during this two hour yoga workshop in Hermiston, Oregon. We will play with inversions and arm balances in a safe and supported manner. All yogis curious in arm balances and inversions are welcome. Hope to see you at Nourish Yoga on October 6th! What to bring: A journal, pen, yoga mat, and water. Fascia is our body’s connective tissue. It provides a structural framework that both supports & protects. It is a continuous web of wavy. pliable fibers that flow through and around our organs, bones, muscles, arteries, veins and nerves. 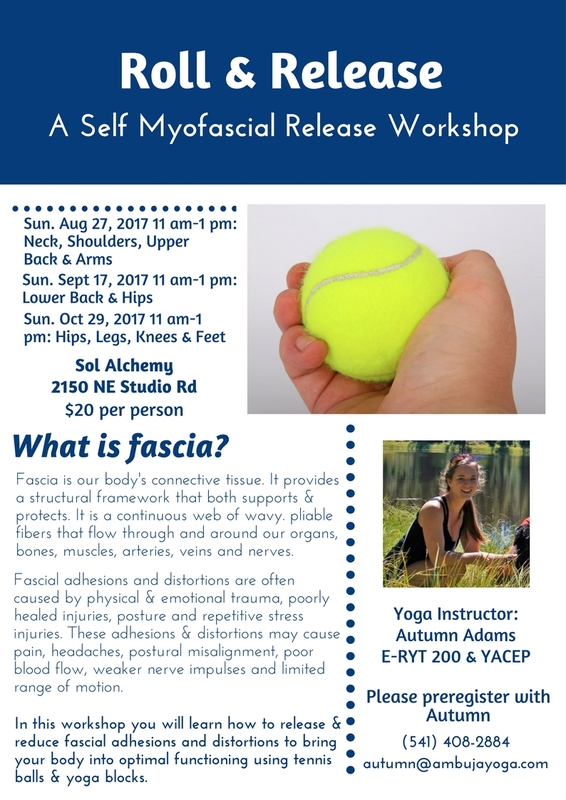 Fascial adhesions and distortions are often caused by physical & emotional trauma, poorly healed injuries, posture and repetitive stress injuries. These adhesions & distortions may cause pain, headaches, postural misalignment, poor blood flow, weaker nerve impulses and limited range of motion. 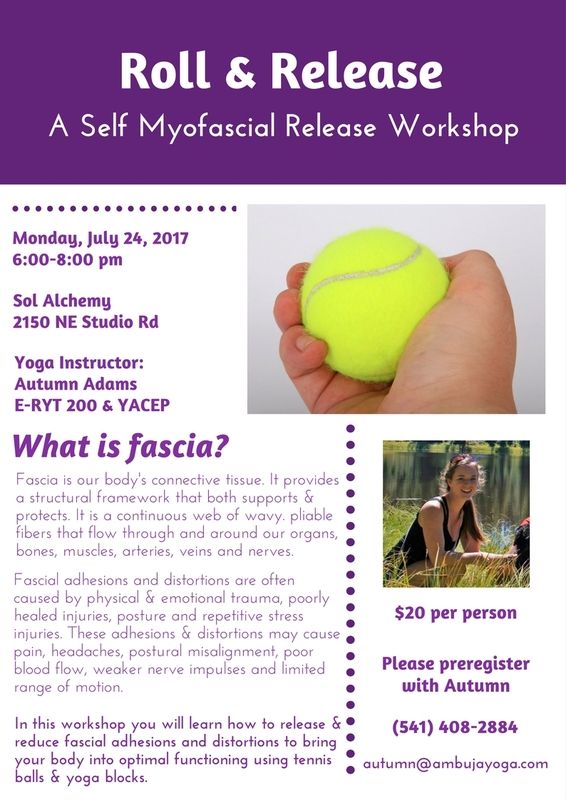 In this workshop you will learn how to release & reduce fascial adhesions and distortions to bring your body into optimal functioning using tennis balls & yoga blocks. What to Wear: Comfy clothes. If you have long hair bring a hairband to put your hair in a ponytail. What to Bring: Yoga mat if you have one, a pen for notes, and water. Cost: $20 cash, all are welcome. No yoga experience necessary. Preregistration is appreciated. Maximum occupancy 25. 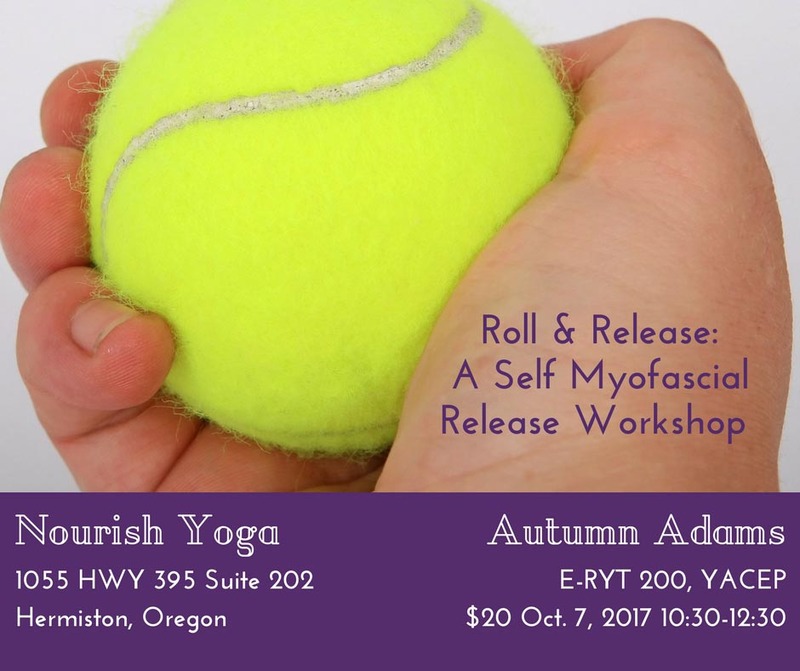 Preregister with Autumn at (541)408-2884 or autumn@ambujayoga.com. 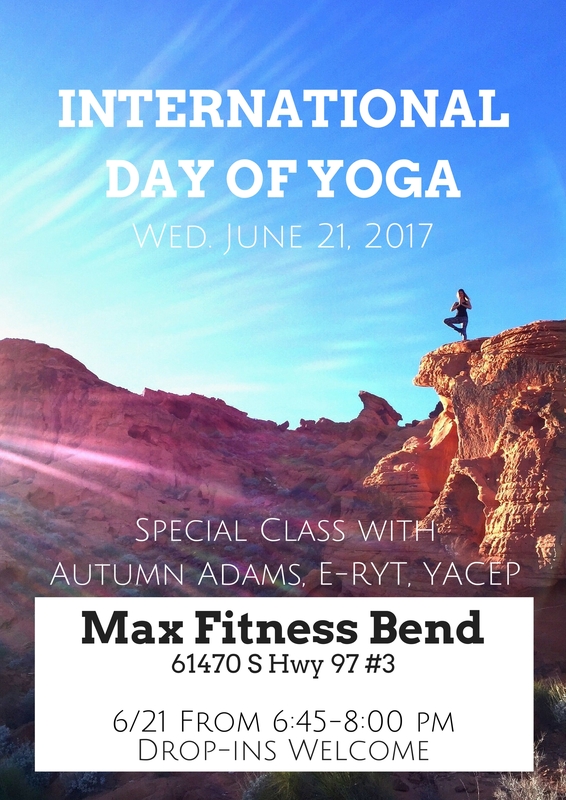 Autumn is back in Bend and she invites you to join her at Max Fitness Bend for a special vinyasa class honoring International Day of Yoga. This celebratory international yoga day event welcomes yogis of all levels to play, have fun, and stretch it all out! Everything you do with your hands is an expression of your heart and your inner state of being. Think about it: blowing a kiss, a high five in triumph, caressing a partner or cuddling a pet are all ways you express the feelings that are beating within you. Conversely, are you flipping the bird? Clenching your fist? Gripping the steering wheel? Typing frantically? Yoga’s hand expressions are called mudras, which are said to shift energies from what we might be experiencing (stress, anger, frustration, sadness) to how we want to feel. 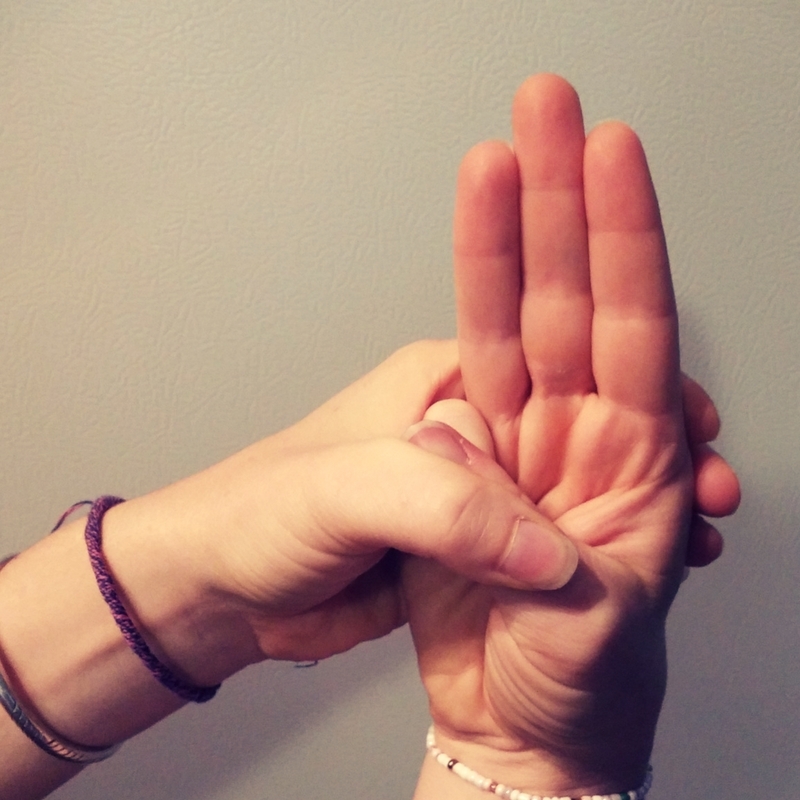 With the stressful and often toxic pace of modern life, the ability to change your state of mind by making different shapes with your hands is nothing short of a personal superpower. And, while the physical effort is minimal, the energetic influence can be huge. 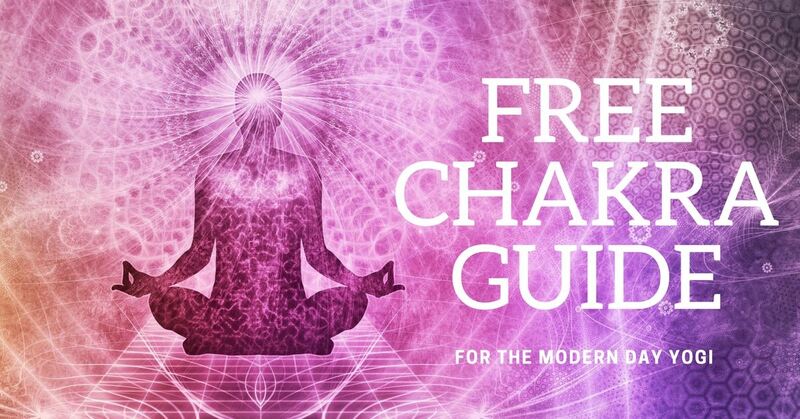 What’s Included: Brief intro and lecture of the mudras, mudra practice, and a printed handout. What to Wear: Comfortable clothes you can sit in. Note: For your own comfort please do not have a large meal before the class. What to Wear: Comfortable clothes you can move in. Friday March 31st. 6pm – 8pm Session 1: Grounding the Sky– Open to the Big Picture and bring it to your physical reality. We set the foundation for the practice with a spacious attitude and we fortify our intentions with active engagement. This is the basis for protecting our joints and allowing a place of stability for the internal expansion to happen. Saturday April 1st , 11am-1:30pm Session 2: Spiral into your core values- Using the body’s natural ability to spiral inward, we connect deeply into the pelvic core allowing a freedom in the hips and relief in the lower back. Great for knees too! 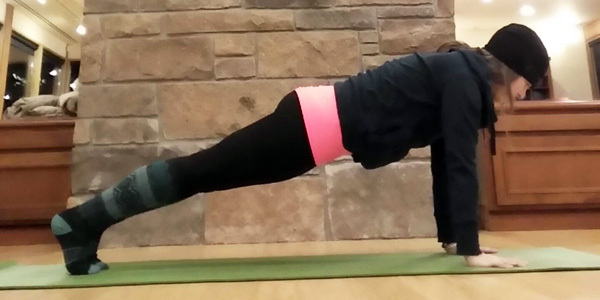 Saturday April 1st, 3:30- 6pm Session 3: Standing Strong- With an emphasis on aligning the lower body and establishing core connection, we set the foundation for freedom of the spine. Sunday April 2nd, 11am-1:30pm Session 4: Trust in the Universal, Deeper expression of the Heart. Upper body alignment supports shoulders, neck and the ability to experience the back body as a source of support for opening of the heart. Are you new to yoga? Intimidated by the so-called All-Levels classes? Or have been practicing for awhile, but still need clarification? This introductory workshop will help you feel confident and safe in a larger group yoga class. What to Wear: Comfortable clothes that you can move in. Be mindful that you will be moving around, so test your outfit beforehand to make sure you won’t be showing more than you’re comfortable with. Demystify bandhas, breath & mudra and learn how to integrate them into your yoga practice. A short lecture to introduce the concepts will be followed by an experiential practice. Learn the subtleties of jalandhara bandha, mula bandha, uddiyana bandha & maha bandha (incorporating them into mudras for the entire body), basic mudras of the hands and different pranayamas and their energetic effects. Students will need a basic knowledge of alignment principles in asana as basic alignment will not be emphasized during this workshop. Now that the holidays are over it’s time to renew our self-care practices. 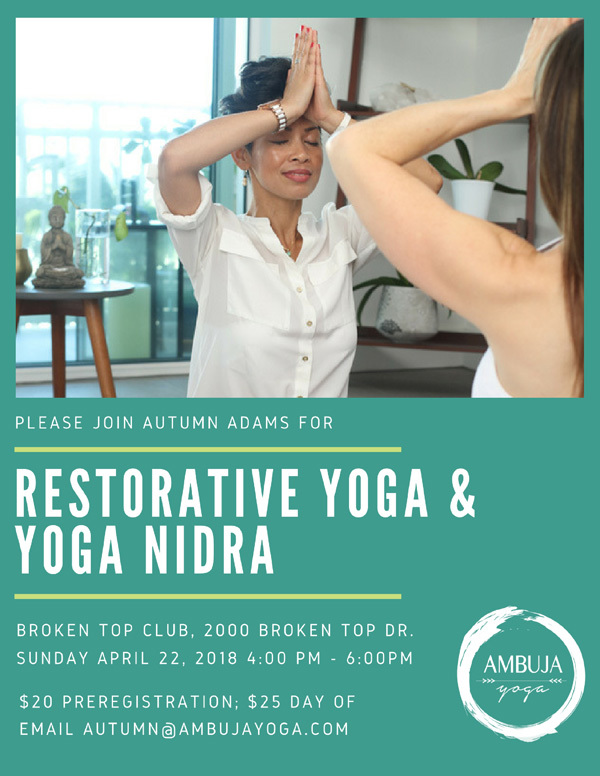 Autumn Adams, RYT 200 will lead the class through a gentle series of restorative postures, soothing pranayama and quieting yoga nidra. July 11, 2015 9:30-11:00 a.m.
Yoga instructor Autumn Adams will lead the class through a series of self-massage exercises that stimulate and massage the Marma points of the body using tennis balls, yoga blocks and other yoga props. A Marma point (117 in total) is defined as an anatomical site where two or more types of body tissues come together (muscles, veins, bones, ligaments, etc.). Like acupuncture, these points correlate with different internal organs and systems of the body. The Marma Point Self Massage will help relieve tension accumulated from weight lifting, poor posture and muscular imbalance in the back, neck and shoulders. In addition, to releasing tension and tightness in the sacrum, glutes, IT band, hamstrings, calves, and particularly the feet. After the Marma Point Self Massage, the class will move into a gentle all-level yoga flow, which Autumn likes to call Holistic Flow or “feel good yoga”. Marma Point Self Massage reduces muscular tightness and tension and improves circulation of blood and lymph, improves energy, and reduces the symptoms caused by a stressful, fast paced life style. This workshop is appropriate for all levels of physical fitness. No yoga experience necessary! To reserve your space please contact Autumn Adams or Max Fitness Bend. December 6, 2014 12:00-2:00 p.m.
Stay healthy this cold and flu season with a restorative yoga class that will keep those cold bugs away. This two hour yoga class will focus on asana (postures) and pranayama (breathing exercises) that will boost the immune system, increase vital energy and reduce stress. This workshop will give you the tools you need to stay healthy all winter long AND as a bonus Autumn will share some of her favorite recipes for a healthy immune system. Autumn Adams, RYT 200 is a Yoga Alliance registered Hatha Yoga Instructor. Autumn utilizes her knowledge in anatomy to create fun classes that gently challenge her students. Her love of yoga extends beyond the asana and pranayama practice and enjoys incorporating snippets of yoga philosophy into her classes to create a space and palce of acceptance, gratitude, and ahimsa(non-harming). November 22, 2014 12:00-2:00 p.m. This 5 Week Yoga Series is dedicated to the beginning student. This series introduces the fundamentals of asana (postures), pranayama (breathing exercises), and meditation in an intimate setting where each individual can have fun exploring their new yoga practice. Each session builds on the previous session to gently introduce new yoga postures while building balance, strength and flexibility. Cost: $68/ 5 Class Pass or $15 Drop-In. Please email or call ahead to reserve your space. Autumn accepts Cash (please bring exact amount, Check, Credit/Debit, and Paypal.